After riding my bike home from work, I'm usually melting into a puddle of filth and attitude. During a summer heatwave, the last thing anyone wants to do is live without air conditioning or slave over a hot stove. 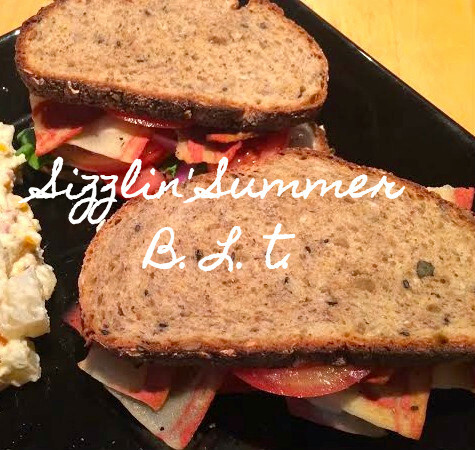 For this, there are what I call "Lazy Mom" dinners: light dinner items that require little to no effort. When I was a kid, my mom was a proud SAHM (Stay At Home Mom). It was the 90s, we didn't know better. My family spent nearly every summer day at a rundown swim club called Crestwood. Woo! Go Cobras! The microcosm of a summer swim club must be exhausting, because after a long day of sunning herself with half a dozen other SAHMS, my mom was beat. Never one to serve salad that didn't come pre-mixed in a plastic bag, instead my mom made magical things like Bacon Lettuce Tomato sandwiches, usually sans lettuce. As sad as microwaved bacon on a special tray made for the microwaving of bacon sounds, it really is the taste of summer to me. I swear we weren't 4H kids, but my dad used to help us plant a vegetable garden in the backyard every year. We always had tons of fresh tomatoes. Makes the $.99 per lb roma tomatoes at Jewel look abysmal. When your boyfriend is vegetarian it kinda takes the air out of a BLT, ya know? Vaginatarian bacon has a reputation for sucking, so I never bothered. I crowdsourced the best one to try because I refuse to let his dietary restriction come between me and my dreams. Turns out Morning Star is the good one if you must. 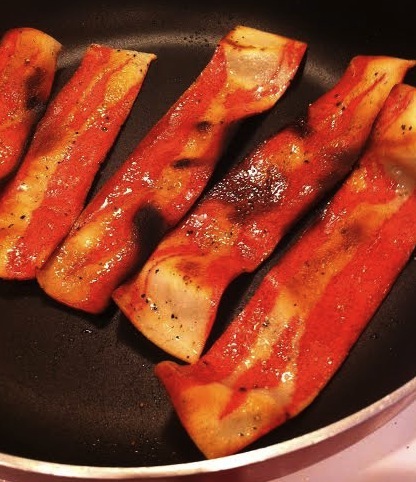 It crisps and with the help of food paint looks just like fake bacon. Start with your house mayo. Or actual mayo if that's your bag. I hate mayo and my plus one doesn't eat meat. We deal. 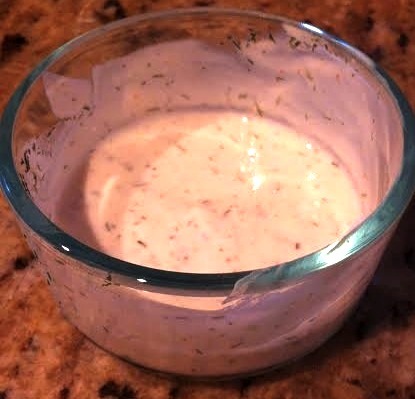 I use greek yogurt and mix in salt, pepper, dill, garlic salt and paprika (It's more of a ranch, really). Stir with 1 tsp water. 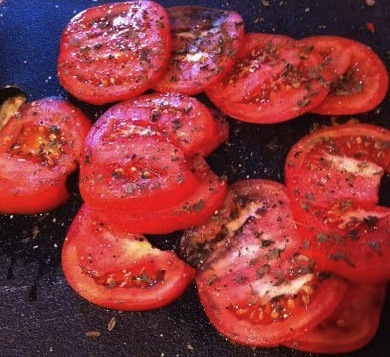 Step 2: Season tomatoes with basil, salt and pepper. Step 3: Crisp fakon in pan. This takes for-god-damned-ever. Start early and often. Step 4: Assemble. I use spinach instead of lettuce to make it healthier. 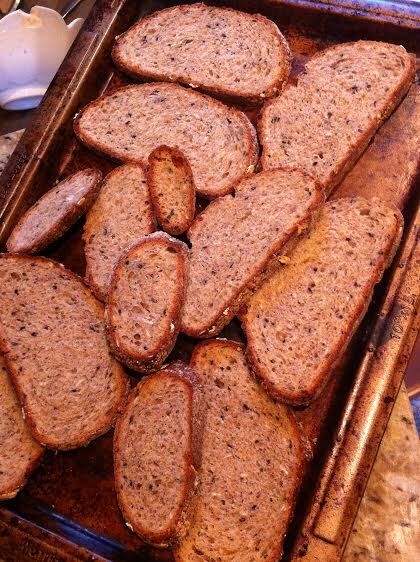 Serve with fancy side dish like deli potato salad or cole slaw. Everything you prepared for the dinner party is looking delicious. Can you share other party details here as well? I am also planning a party at rental halls in Philadelphia and that is why I am asking for help.